As of April 2014, Zenaide Giunta, descendent of Emperor Napoleon, opened two of her castles in the countryside of Assisi, Italy — one serving as a villa for guests, and the other as a venue for special events and weddings. Assisi, located in Perugia, in Umbria, is a popular tourist destination. It is the birthplace of St. Francis of Assisi, and therefore is home to many famous medieval attractions, especially religious sites such as the Basilica di San Francesco (Basillica of St. Francis), and ancient Roman relics and churches. Shopping in the area consists of stores lining the streets with products crafted by local artists, many of whom sell items that appeal to kids. Local restaurants are also plentiful and provide wonderful meals, specializing in pizza and gelato, very child-friendly food. Wine tastings are a popular activity for adults, as well as biking, cooking lessons, and golf. 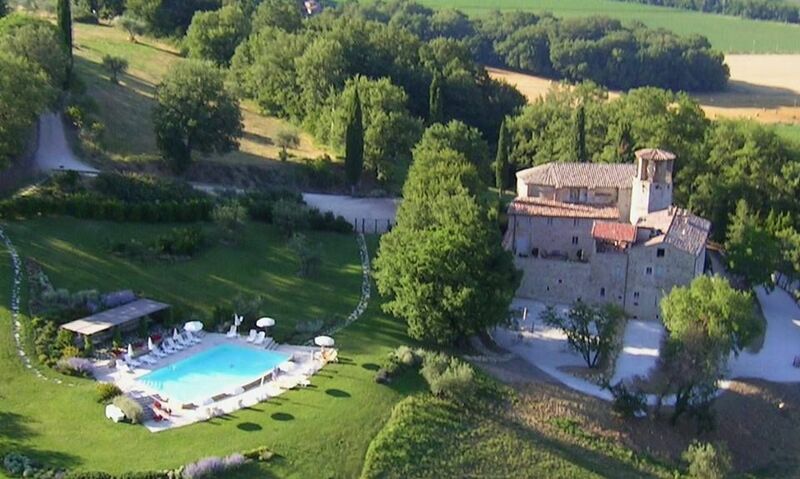 The Pieve San Quirico Castle Villa (PCV) is the villa that hosts guests. 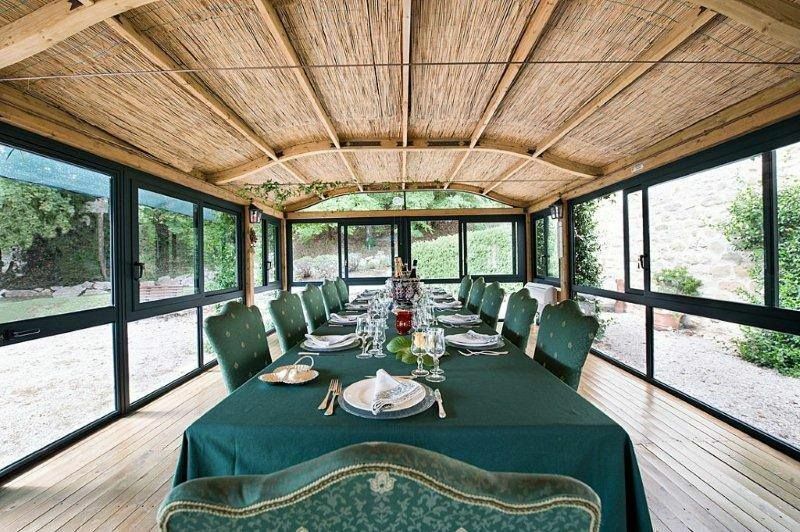 Private groups seeking a getaway in the Italian countryside can rent it out on a weekly basis. The property is structured as a private home, but includes all of the amenities of a hotel. It contains seven bedrooms (but actually sleeps 15). The estate also features a saltwater pool, courtyard, nine bathrooms, kitchen, and an 18th century church. Pieve Castle Villa is available to guests from April-October as well as during Christmas and New Year’s vacation (December 20-January 10). 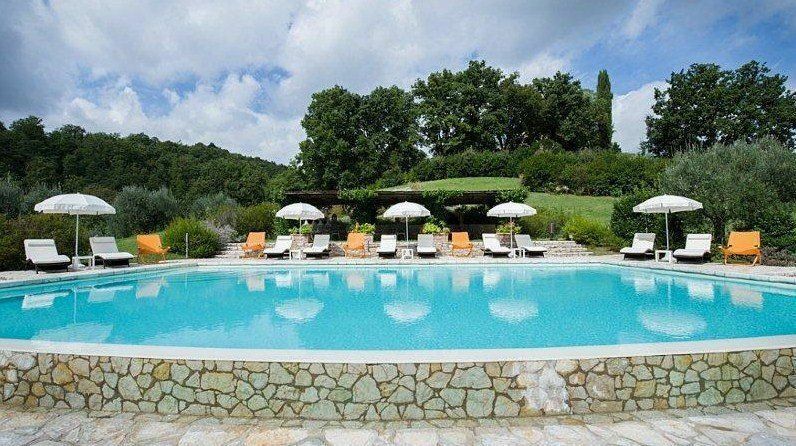 Prices for Pieve Castle Villa begin at €7350 per week. This includes breakfast and cleaning service, as well as grounds maintenance and pool cleaning. Additional services are available upon request. If you are in need of more space during your stay, the Bagnara Tower can also be utilized. The Tower sleeps 15 guests in four apartments. Il Castello di Bagnara (CDB) can be reserved for private events such as weddings. The interior includes a chapel, and a living and dining room. The exterior allows guests to enjoy a pool, garden, and covered dining space with an outdoor fireplace, while absorbing views of the Italian countryside. It is also home to a farm which rears hare, roe-deer and Chianina beef cattle. Numerous other activities are available to guests, such as: Italian cooking lessons, wine tours, seasonal festivals, golf, yoga, and biking. To receive more information about these locations, or for details on reservations, you can e-mail info@letorridibagnara.it. Photos courtesy of Le Torri di Bagnara.